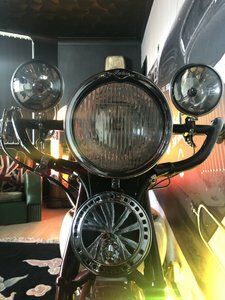 1938 Indian Sport Scout for sale. Great runner,rider. This is a 38 with a 42 motor. Bike has done loads of international Indian rallies. Very nimble,quick n reliable. 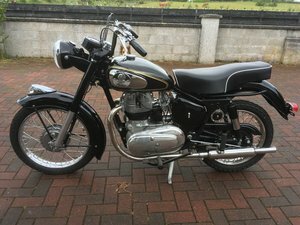 All paperwork for work done, New buy forces me to sell this great bike. 1954 Rare Indian Papoose Brockhouse Corgi Para Bike. Matching numbers, running, titled and licenced in Ontario. All original sheet metal and components. Very rare 1920's Graham Paige brake light with glass lens. Dealer optional hub caps and jockey shifter. Assistance with shipping available. Indian Little Twuin 680 c.c. 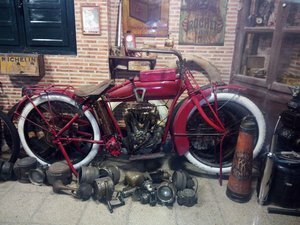 of 1917 This as seen in the photo, I have no documents, the bike was found in an old house. 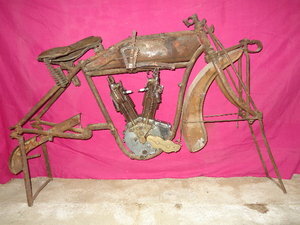 Very interesting model, ideal to restore, in the absence of some pieces. 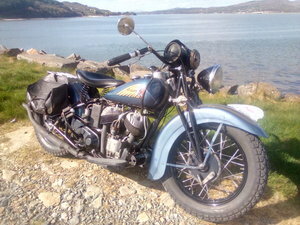 The Indian motorcycle is located in Catalonia. One of only four or five in the world.May be the only in Europ.Recently sold one in USA by RM auctions for 126500USD.The engine works and all electric sistem funcional.